Howdy! Thanks for dropping by Bandera Texas Real Estate. I SELL the Texas Hill Country and provide the best service you can find in and around the “Cowboy Capital of the World”. Spend some time on my very helpful and comprehensive real estate search system, to find just what you are looking for. The Real Estate Search System below is powered by Spatial Matching & the San Antonio MLS IDX with more than 150 customized data tables, to insure the most robust search capabilities of any REALTOR website in the Texas Hill Country. Scroll down to start your search for homes, acreage, lots, ranches and commercial property in the Texas Hill Country. Bandera Texas Real Estate specializes in helping our Texas Hill Country customers buy and sell their piece of Hill Country Paradise. Whether you are looking to buy or sell 100’s of acres of Hill Country Land in Bandera County, a perfect piece of Utopia Real Estate or buying a home on one of the many Hill Country Rivers like the Medina, Frio and Guadalupe, then you’ve come to the right place. 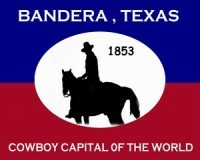 We are your Bandera Realty One Stop Shop for Hill Country Property. If you are looking to sell your real estate and want more than a For Sale sign with balloons in your front yard, then call Bandera Texas Real Estate, email us or send us smoke signals and we will saddle up and get to work for you. The Bandera Realty market has been getting stronger, interest rates are low and now is a great time to be buying or selling. Stunning 100% rock limestone home in Montague Ranch Estates. No HOA dues. large 3 bedroom 2 bath, formal dining area, 2 family rooms, master split, step down into the living area with fireplace & heatalator, large office/ study, large covered back patio with BBQ grill. Circular driveway, beautiful mature oaks, land is mostly cleared BCAD sq. ft is incorrect. Just a few miles north of Bandera. Great location to raise a family in the small subdivision of Montague Ranch Estates. AMAZING Property!3LOTS totaling 12.02acres!Log Cabin,2 masters, granite,extra log building could b office or art studio,RV pad w/water&elec,pool,hot tub,can add propane tank to make home gas,horses allowed,hunting allowed.Fenced/cross fenced.Barn w/turnouts,tack room,garden w/irrigation.2ac. perfect for grazing&planting.Raised bed greenhouse.Pecan&fruit trees.5ac.has it's own electric meter.2ac. off of Deer Creek Dr.could b subdivided.10.02fronts Diamond J.SO MUCH POTENTIAL w/this property!MUST SEE! The majority of properties sold in Bandera, Bandera County, and the rest of the Hill Country are bought by people coming from other Texas cities and/or states. Actually, the good people in the greater Houston area account for a great deal of the buyers in the Hill Country real estate market. Google has reported that 90% of today’s buyers start their property search on the internet and that figure is probably even higher for Bandera Realty and the hill country in general because such a large majority of the buyers don't live in the Hill Country market . Armed with these two bits of information is the reason why I saturate real estate web portals, web sites, social media sites, and web directories like Lands of Texas, Zillow, Trulia, Land & Farm, Hot Pads, Land Watch, RealBird, Active Rain and Realtor.com plus dozens more with my listing and marketing information. This web marketing process allows my client’s listings to reach the greatest number of potential buyers, no matter where they live. If you are looking to make Bandera or somewhere in or around Bandera county like: Pipe Creek, Medina, Lakehills, Mico, Tarpley, Vanderpool, Leakey, Hondo, Comfort, Center Point, Kerrville or Utopia come by my office at 327 Main St in Bandera, TX 78003 and let me find you your dream home, ranch, acreage, lot or hunting property. We live in the Hill Country and Bandera Real Estate is our passion and we work at it every day. Bandera County Real Estate is just part of the area we cover. We can also help you with Hill Country Land, Ranches, Homes and Acreage in Mico, Lakehills, Pipe Creek, Tarpley, Comfort, Kerrville, Medina, Boerne, Hunt, Blanco, Fredericksburg and many other towns in the Hill Country. Whether you are looking to buy or sell real estate in the Texas Hill Country contact me and I can help you get started. If you are selling, then I can put together a market analysis for you to help you determine a competitive price for your property. My analysis takes into consideration properties that have been sold in the previous 3-6 months and the properties that are currently on the market. I look at other issues like days on market, market trends, seasonal fluctuations, etc. If you want to buy in Bandera, Pipe Creek, Medina, Lakehills, Tarpley or anywhere else int he Hill Country, I can set up a customized search for you that will go right to your email account with the latest results. In my automated system you can leave me notes, ask questions, and mark whether the property is Yes, No, or Maybe. This way of searching is a lot easier and much less time consuming for you than spending hours on the internet searching Zillow, Trulia and Realtor.com for the latest listings. The best part about all of this is its great quality service and its FREE! Contact me today to get started. Texas Mineral Rights...Do you have any? Dear Sellers "Get a Home Inspection Before you Sell"